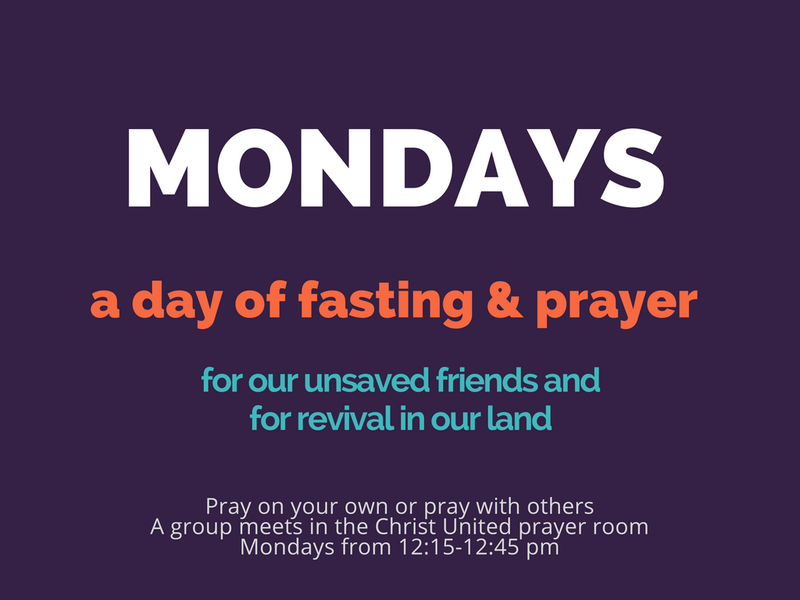 Join other believers in setting aside Monday as a day of fasting & prayer. We are asking people to fast their lunch and spend that time in prayer, but we want you to be sensitive to the Spirit’s leading if He leads you in a different type or length of fast. Pray on your own, in your own church, or come to Christ United (next to Medieval Times) in the prayer room from 12:15-12:45 pm to pray for unsaved friends and for revival.